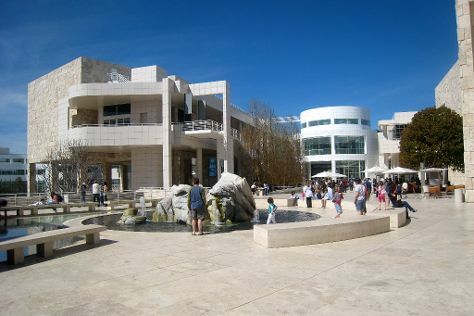 Kick off your visit on the 23rd (Sat): explore the world behind art at Los Angeles County Museum of Art. For reviews, where to stay, more things to do, and more tourist information, use the Los Angeles online road trip planner . Rome, Italy to Los Angeles is an approximately 15-hour flight. You can also do a combination of train and flight. You'll gain 9 hours traveling from Rome to Los Angeles due to the time zone difference. Expect a bit warmer temperatures when traveling from Rome in March; daily highs in Los Angeles reach 27°C and lows reach 14°C. Finish up your sightseeing early on the 24th (Sun) so you can travel to Las Vegas. On the 25th (Mon), examine the collection at The Mob Museum, get a taste of the local shopping with The Strip, and then ponder the design of Bellagio Fountains. Keep things going the next day: examine the collection at The Neon Museum, then admire the natural beauty at Bellagio Conservatory & Botanical Gardens, and then explore the stunning scenery at Red Rock Canyon National Conservation Area. To see ratings, more things to do, reviews, and more tourist information, read our Las Vegas day trip site . You can fly from Los Angeles to Las Vegas in 4 hours. Alternatively, you can drive; or take a bus. In March, daytime highs in Las Vegas are 27°C, while nighttime lows are 13°C. Wrap up your sightseeing on the 26th (Tue) to allow time to travel back home.